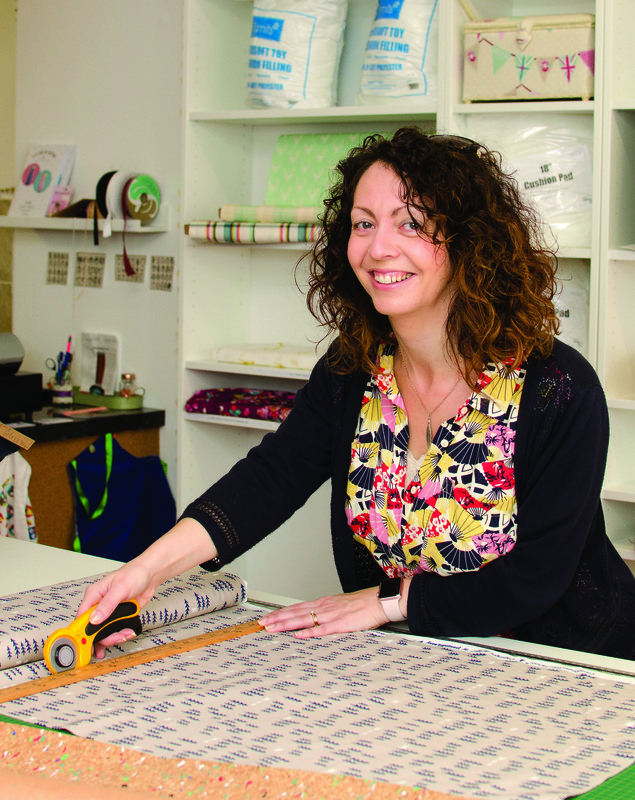 Jane is a member of Moray Business Women so we asked her to tell us more about this local business and what Small Business Saturday means to them. 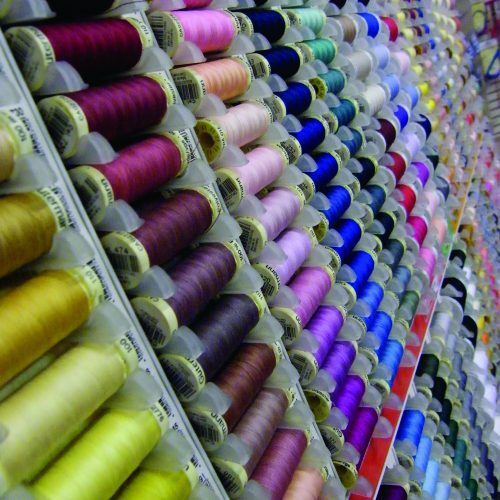 Our business is an extension to our established, independent, sewing machine business on the high street. 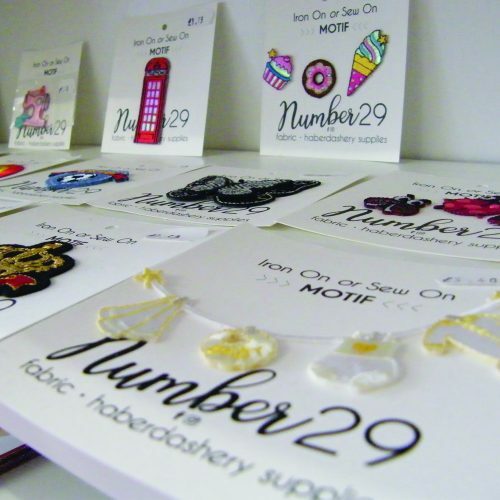 We can now offer under our ‘Number 29’ brand something that the market was missing in the local area. 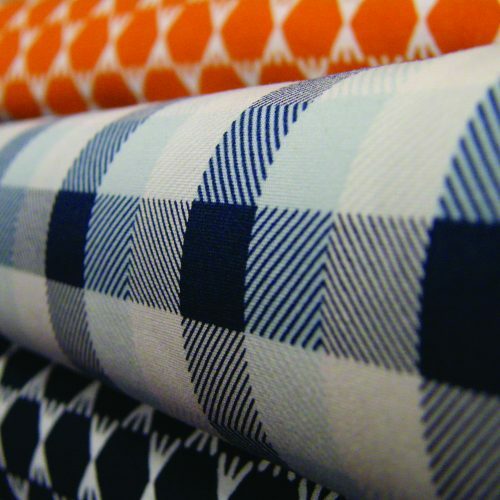 We are stocking on trend fabrics and accessories, including haberdashery, patterns, ribbons, buttons and gifts for the sewing and hobby marketplace. Having received already an amazing support from suppliers, family and friends. We opened the doors of Number 29 on Thursday 6th July 2017 and the response and support from new and existing customers has been immense. From neighbourly customers to Orkney, Aberdeen and Deeside. It shall be a small learning curve for myself: I am a graphic designer by trade (around 22 years), so working with physical colour palettes over onscreen is divine and fabulous. Now I can help others create a dream colour scheme to suit for their quilting and sewing projects. WHY DO YOU WANT TO PART OF SMALL BUSINESS SATURDAY? WHAT IDEAS HAVE YOU GOT TO ENCOURAGE TO SHOP LOCAL? Bricks and mortar shops were last year failing. This year we wish to highlight the amazing satisfaction and benefits of visiting a local store and a ‘try before you buy’. To feel the quality and experience the friendly one-to-one communication that walking into a shop gives. We are inviting all ages into Number 29. Visit the relaxed classroom environment within the shop, and join the spirit of a community shopping experience. TELL US ABOUT THE BUSINESS JOURNEY? The original company was established in 1973. My father in law, Ron Williams worked out of a caravan in the garden repairing sewing machines. He slowly built a family business with his sons and daughters and at one stage had three shops in the north of Scotland. On his retirement, youngest son , now my husband, Alan Williams took over and concentrated on a quality, reputable service that the next generation would be proud of. 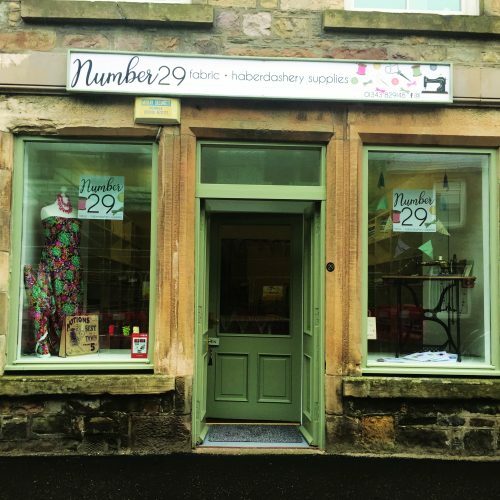 Having settled with his family in the village of Fochabers, in the heart of Speyside, Moray, Scotland, Alan listened to lots of customers asking “do you sell zips”, “can I get ribbon”, “where can I get dressmaking or quilting fabric from” . So we answered the call and took the plunge of opening another shop in the village to serve the local community and beyond. I will run this new shop. Some describe me as a creative head, who’s hobby has turned to passion. I will learn alongside customers on ‘How to’ classes with tutors across various subjects of PHD (projects half done). 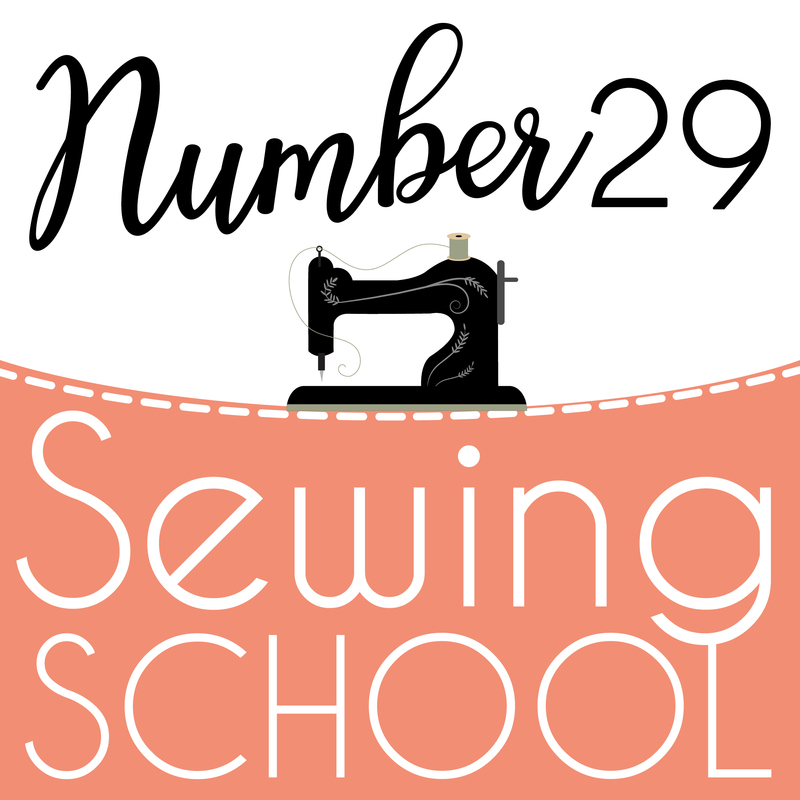 From getting to know your sewing machine to small projects like an apron or bag making for example. This summer I shall be introducing Fiona Purcell (Seamstress & Tutor), along with Many Travis (Tutor) to create classes of various kinds. Meanwhile Alan shall be introducing ‘get to know your sewing machine’ evening classes. All this and including our niece Jade to the business too, for hands on experience under her work experience remit. WHAT DOES OUR SMALL BUSINESS DO TO SUPPORT OTHER SMALL BUSINESSES? As family and business, we shop local at the many small business on the high street in Fochabers. We get the meat at the butchers, takeaway coffee and treats from the neighbour at the Ice Cream Parlour, get lunch at the local cafes and top up shopping at the two village convenience shops. We shall encourage more for the next generation to influence them on looking up at the shop windows and not into their devices as they wander down the street. Encourage walk ins from tourists and locals during late night shopping and seasonal events will also be part of the supporting high street network. Jane Williams is part of the Moray Business Women (finalist for MBW Member of Achievement 2016). Exclamation Marketing have added new services, do you need to improve your SEO rankings?